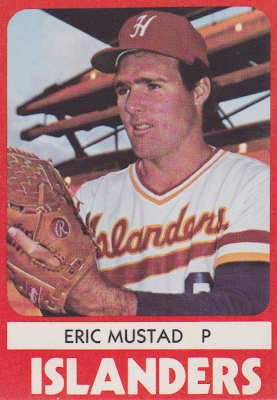 Speaking of "mustard," check out how their uniform's warm color palette matches the stadium seating. If you didn't know they were from a sun-drenched locale before, there's no question now. This isn't quite the Andy Dyes beach towel look, but you can see it from there. 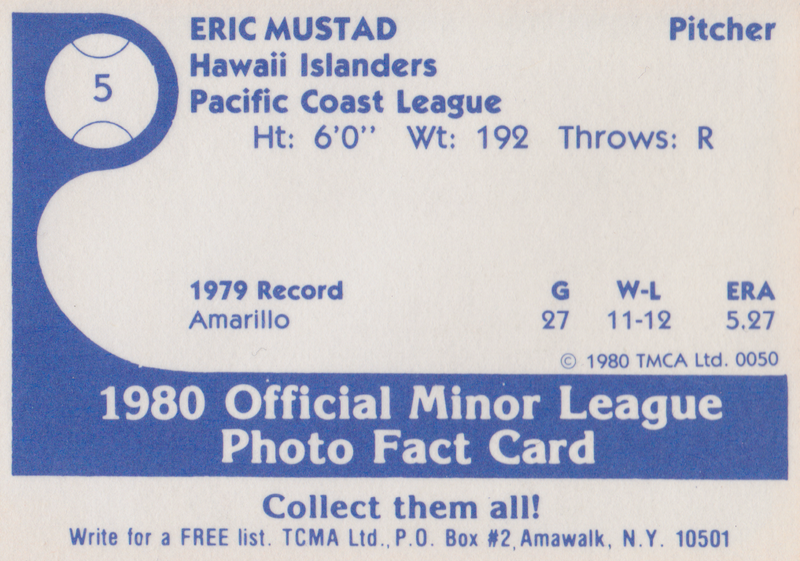 Those 1979 stats from Amarillo include highs in starts, innings, wins, and strikeouts for Eric, who pitched another five years in the minors without breaking into the bigs, ultimately retiring in 1984 at the "prime" age of 28. After a demotion from AAA to AA near season's end, I suspect he decided there was more to life and, like many a generation before, moved on to other things. Value: This #5 cost $2 at MinorLeagueSingles.com, similar to other non-star TCMA singles.